The urge to tinker with bare hands is strong in a lot of men. 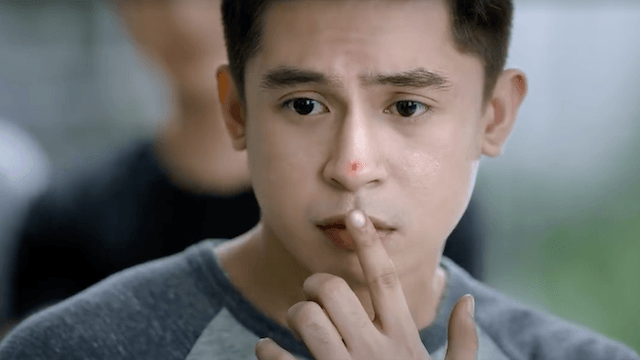 (SPOT.ph) Admit it: More than once, staring in front of the bathroom mirror post-shower, you have demonstrated the boldness of taking your pimples into your own hands. This happens, despite partners, mothers, well-meaning friends, and the office nurse telling you that self-popping is scarring, unsafe, and unsanitary. All those pimple-popping videos on social media make you want to pimple-pop, too. For better or worse, social media is a powerful influencer. Without you knowing it, you are already subject to its spell, replicating those risky pimple-popping moves you see on your FB or IG feed. Your inner technician and repairman are at work. The urge to tinker is strong in a lot of men. This explains why a lot of you are good at things that require manual labor: auto and gadget repairs, assembly-required toys and hobbies, and (ulk!) DIY pimple-popping. The instant gratification of getting rid of a pimple real-time is, well, intoxicating. Instinct tells you to sweep dirt whenever you see it. The same holds true for that one pimple that breaks your groove. Getting it out of the way—bare hands and all—can give you a natural high! We ignore the immediate and terminal effects of DIY pimple-popping. It sure feels good to get rid of that nasty zit, but what you tend to forget are its nastier consequences. Within seconds, self-pricked skin is subject to infection. Within days, a new pimple (or pimples) may grow in the same spot. Within weeks or months and without a dermatologist's attention, these pimple wounds become acne scars. Soap is simply not enough. Even if you wash your face multiple times, the zit won't budge unless it's treated appropriately. This is something you need to remember over and over: washing one's face with soap is good but that is just the first step. Master Deep Cleanser gets rid of dirt that soap does not reach and excess oils that cause pimples. By getting rid of the dirt and excess oils, there's no need to pimple-pop anymore. Also, your partners, mothers, well-meaning friends, and the office nurse collectively agree: good skin makes a man gwapo.